« Christmas Contest: Why Is Christmas Special at Your Church? It can feel like you have a lot of options when you’re planning your Christmas services. Unlike Easter, Christmas bounces around a lot and that gives us some flexibility with the dates of our services. You may think you have options, but you don’t. It’s all about Christmas Eve. There are other choices for Christmas services. You could put your effort into the weekend before Christmas. And sometimes that might work. But our culture is so focused on gearing up for Christmas that you might end up feeling like you’re celebrating too early. You could try to be all things for all people. Do a few weeks before Christmas, do the weekend before Christmas, do Christmas Eve. That’s a good way to burn your people out. When it comes down to it, Christmas builds up to Christmas Eve. That’s the height of our festive frenzy. Christmas Day is big as well, but mostly for people to sit around the house in their PJs, opening presents and being with family. Christmas Eve is when people are still willing to go out, still want to get that final, climactic dose of Christmas. That’s where your church should be. Focus your Christmas efforts on Christmas Eve. Churches love Christmas and these stats are a good reason why. We’ve made a list and checked it twice of all our Christmas ideas. Check it out for Christmas resources, examples and more. 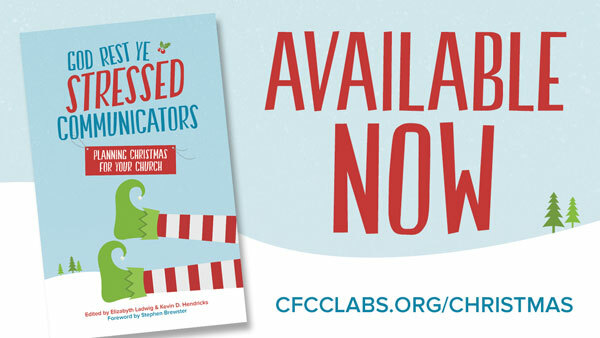 For some in-depth Christmas planning, check out God Rest Ye Stressed Communicators: Planning Christmas for Your Church. Except for the majority of the world’s Christians, for whom Christmas Eve is the *beginning* of the season, which lasts for twelve days beginning on December 25 for Western Christians or January 7 for many Orthodox Christians. Why not observe a counter-cultural practice of Advent, quiet in the face of all the hype and consumerism. Why not bring that quiet season to a lovely close on Christmas Eve? Why not invest energy in celebrating Christ’s Incarnation for a couple of Sundays after Christmas Eve, then remind yourselves of your own baptism on the Feast of the Epiphany? Why not market the *church* instead of playing to the “psyche of our culture”?